The centerpieces are, in my opinion, absolutely beautiful. They are easy to make and can be done for any occasion. 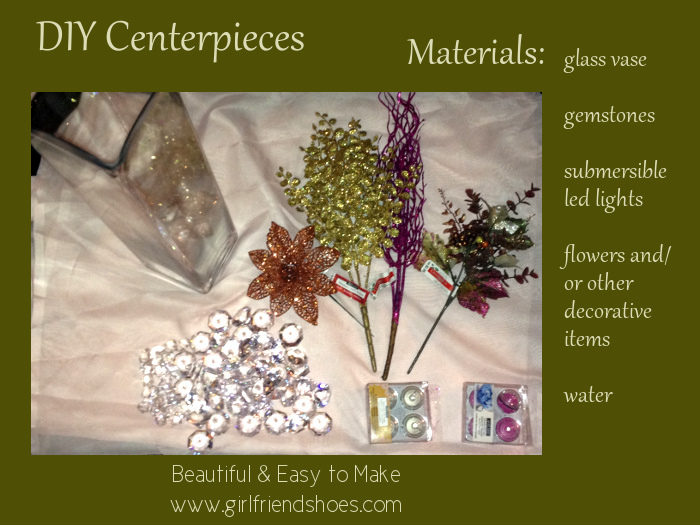 Actually, many people make these for weddings but I wanted to come up with some Christmas centerpiece ideas using the same materials. 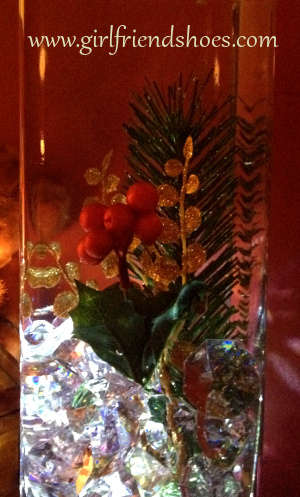 The key to these gorgeous centerpieces is the submersible LED lights. I have used both pink and clear in the pictures below. Another key to these is using water. The water makes them dazzle that much more! If you try these you’ll see what I mean. The pictures really don’t do the centerpieces justice. The camera doesn’t fully catch their beauty. 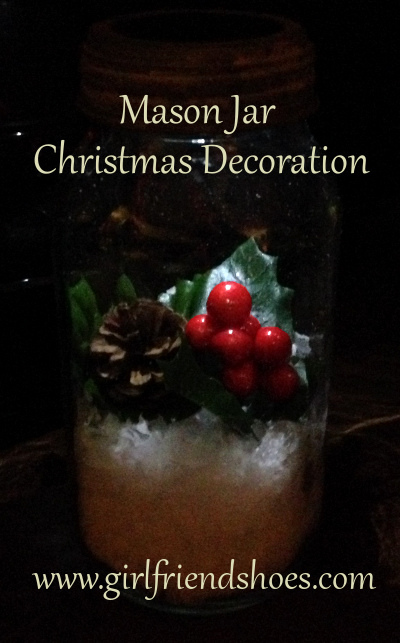 Here I go again with the mason jars. 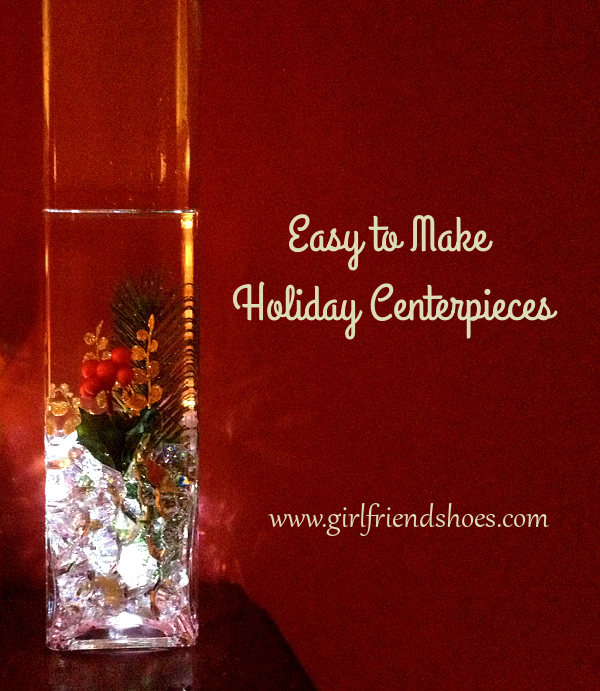 It’s just another pretty way to come up with Christmas centerpiece ideas. By changing what you put in the vase, the types of flowers etc. 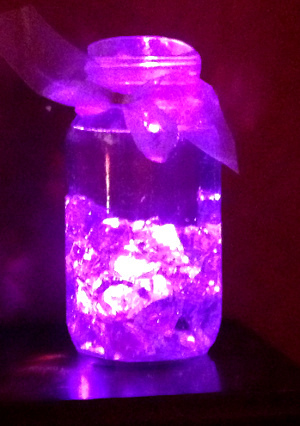 and the color of the submersible LED lights you can cater them to any occasion. I wanted to come up with some Christmas centerpiece ideas because Christmas is right around the corner and I’d like to be able to put one on the table for Christmas dinner. I wish I had more supplies to try out some different ones, and maybe a few more tables to put them on. I have the Christmas one with the holly berries on my mantel at the moment. I couldn’t put it away I love it so much. What’s your opinion, do you have a favorite?